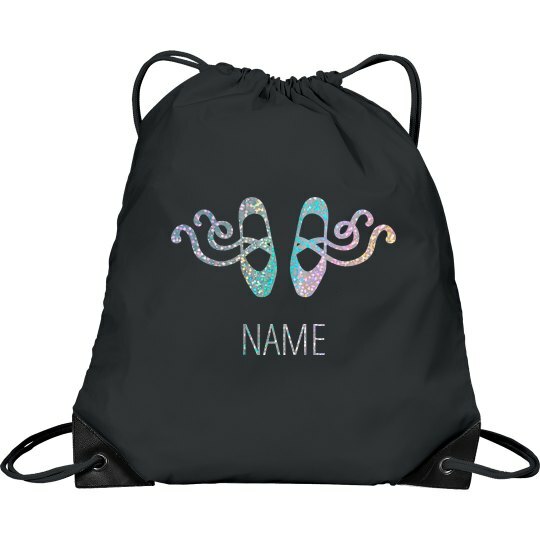 Take your dance accessories to practice, competitions, and outings in style with this custom drawstring bag. Personalize the front with custom text - add your name, your squad's name, or anything else that comes to mind. The rose gold ballet slippers make this sporty dance bag one of a kind!